Your radio is only as strong as the battery that powers it. Make sure it’s Proven Tough! Whether responding to an emergency where seconds count, coordinating a mobile workforce, or communicating critical information, your radio is essential and its battery key to your operation. Fortunately, hazards that kill other two-way radio batteries do not affect ours. 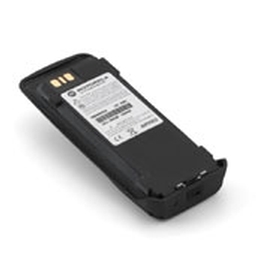 That is because we build superior batteries specifically for Motorola radios. 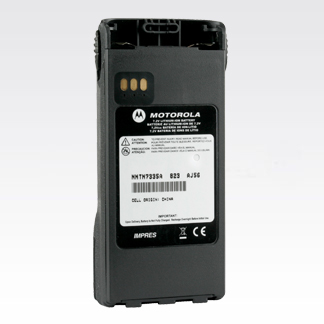 With a complete portfolio of Motorola Original and IMPRES two-way radio batteries that have been designed and developed as an integral component of our two-way radios, you can be confident our radio batteries perform optimally when you need them most. Furthermore, exclusive IMPRES technology from Motorola provides additional features such as automatic, adaptive reconditioning and displays that show detailed battery life information; all designed to maximize talk time and optimize battery cycle life. IMPRES LiIon high capacity IP67 battery for XTS 2500, XTS 1500, MT1500 and PR1500 portables. IM.. This product is a Li-on 1500 mAh 7.4V Battery. .. This product is a Mag One NiMH, 1300 mAh battery. 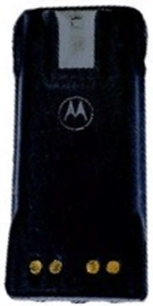 ..
Technical Data:(Motorola Brand) Volts: 1.5V Type: AAA cell Package: 96/PK.. The PMNN4406 is a high-capacity 1500 mAh Li-Ion submersible battery for the XPR 3300, 3500 Radios.. Premium NiMH battery for CP-series and PR400 portables. .. Premium NiMH battery for HT-series, PR860 and MTX-series portables. ..
(Eveready Brand) Volts: 1.5V Type: AAA cell Package: 12/PK.. The PMNN4407 is a high-capacity 1500 mAh IMPRES Li-Ion submersible battery for the XPR 3300, 3500.. 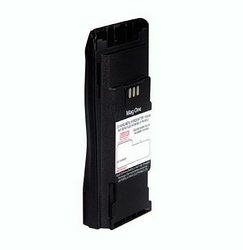 This product is a IMPRES Ruggedized Li-ion 2700mAh Battery. ..